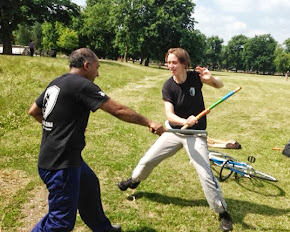 We'd like to thank Grandmaster Brian Jones for returning to Hackney, where he introduced Escrima in the 70's, and delivering a brilliant seminar yesterday. It was also great to have Master Ricky Crofts, Master Jay Dobrin & Master John Morgan assist and share their experiences and knowledge. It was a real pleasure have you all come down and we look forward to seeing you soon.